Joe Abercrombie follows the reactions created by the US cover of his upcoming novel, “Best Served Cold”, with an wonderful and interesting post on his blog. Theresa from Fantasy & Sci-Fi Lovin’ Blog points us to an interesting reaction of Stephen King regarding Stephenie Meyer and her “Twilight” series. I have to be honest and say that I didn’t read any of the series books, but I find Stephen King’s reaction very interesting. 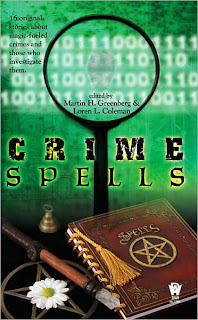 Also she has another of her short story collection contests, this time the prize includes: “Crime Spells” edited by Loren L. Coleman & Martin H. Greenberg, “Catopolis” edited by Janet Deaver-Pack & Martin H. Greenberg and “Unusual Suspects” edited by Dana Stabenow (US participants only). 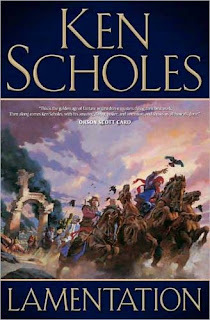 Dragonmount shows us sample covers of the graphic novels adaptation of Robert Jordan’s “The Wheel of Time” planned by Dabel Brothers. John from Grasping for the Wind reached his 100,000 hits with his interesting blog. Congratulations John! Robert from Fantasy Book Critic reviews “Hatter” by David Moody and “Lamentation” by Ken Scholes, two titles I am looking forward to read this year. Also he has another two great contests: 5 copies of Stephen Hunt’s “The Rise of the Iron Moon” (open worldwide) and 3 signed copies of Jonathan Maberry’s “Patient Zero” (open to North American residents). Book Spot Central offers the possibility of winning 3 signed copies of Kit Redd’s “Enclave” and 5 copies of Carlos J. Cortes’ “Perfect Circle”. Ken from Neth Space offers us his review of “Lamentation” by Ken Scholes. Mulluane from Dragons, Heroes and Wizards reviews the first two books in Glen Cook’s “Chronicles of the Black Company”, “The Black Company” and “Shadows Linger”. Graeme from Graeme’s Fantasy Book Review reviews M.F.W. Curran’s “The Secret War”. This is one of my future reads as well. Gav from Next Read shows a promo of second book in Chris Ewan’s “Charlie Howard” series, “The Good Thief’s Guide to Paris”, and his review of the first book, “The Good Thief’s Guide to Amsterdam”. 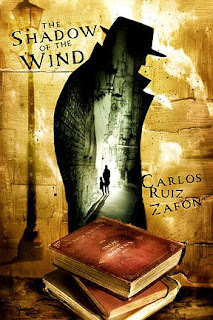 Rob from Rob’s Blog o’ Stuff points us to his review of Carlos Ruiz Zafón’s “The Shadow of the Wind” posted on SFF World. Another high recommendation for this amazing novel. Doug from SciFi Guy reviews “Red-Headed Stepchild by Jaye Wells. Ben from Speculative Fiction Junkie reviews “The Infinite Instant” by Danielle L. Parker. Adam from The Wertzone reviews “Look to Windward” by Iain M. Banks.